During my last trip to Canada, I caught up with one of our Mumbai Whisky Ladies who moved to Canada. Naturally our evening turned to a sip or two. Of late, her preferences have leaned towards lighter Speyside drams. 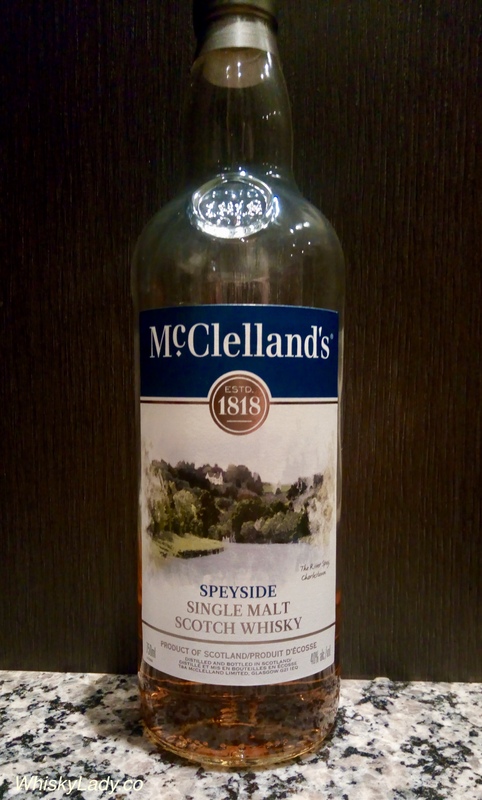 The other was new to me – McClelland’s Speyside, started originally as a blender, now part of the Morrison Bowmore distillers. The thinking behind the McClelland’s range is to explore the ‘character’ of key whisky distilling regions – launched in 1986 with an Islay, Highland and Lowland expressions and joined in 1999 by this Speyside expression. sometimes delicate, sometimes rich and robust. Overall quite pleasant and an easy drinking dram. Colour – Honeyed with golden highlights. Body – Light to medium, elegant and balanced. Nose – A fresh invigorating Speyside malt of mint, menthol and freshly cut pine. Traces of fine dark chocolate and a lingering sweet malt aroma. Palate – An initial fibrous sweet nougat essence is complemented by the savoury flavours of brazil and hazelnut. A subtle floral freshness adds a faint perfumed bouquet to the palate. Finish – Short, yet powerful, complex unforgettable. Knowing we were in for a sherry trio with the Edradour and GlenDronach, we deliberately decided to start with a light ‘appetizer’ mini from Speyside. Palate – Thin and watery… 40% just doesn’t give it enough ‘oomph’. Very dry and a bit bitter. One likened it to the dryness the way your tongue feels after chomping down on a mouthful of dry crackers. Finish – Was there one? Perhaps the lightest dash of cinnamon before disappearing? Overall it was completely nondescript. Like a generic Speyside without anything that distinguished it remarkably and a few elements that were not entirely appealing. We really had to push ourselves to find much. I felt exactly the same when I went to research to find out more about this particular bottle. We know it is a single malt, from Scotland, specifically Speyside, matured for a minimum of 12 years and bottled at 40%. The cool, clean waters of the River Spey, beloved by generations of fly fisherman, are at the heart of Scotland’s whisky-making tradition. Erhm… nothing except you can buy a 700ml bottle for $40 at Marks and Spencer in the UK. You can taste the history in each distinctively creamy sip, redolent with notes of mature vanilla and warm, spicy cinnamon. About this bottle: This smooth Speyside classic is made using time honoured, traditional methods that haven’t changed for over 130 years. In the heart of north-eastern Scotland runs the fast- flowing waters of the River Spey. On whose banks, it’s cool clean waters are at the heart of the country’s treasured and esteemed whisky making tradition. After the spectacular surprise from The Whisky Exchange with their Edition No 1 Speyside 10 year, this was a complete let down. What more should we know about this whisky? So enthusiastically did we embrace our task that we even invited another friend to join the sipping sampling fun! And what did we explore this time? Most whisky aficionados have a ‘preferred’ profile. 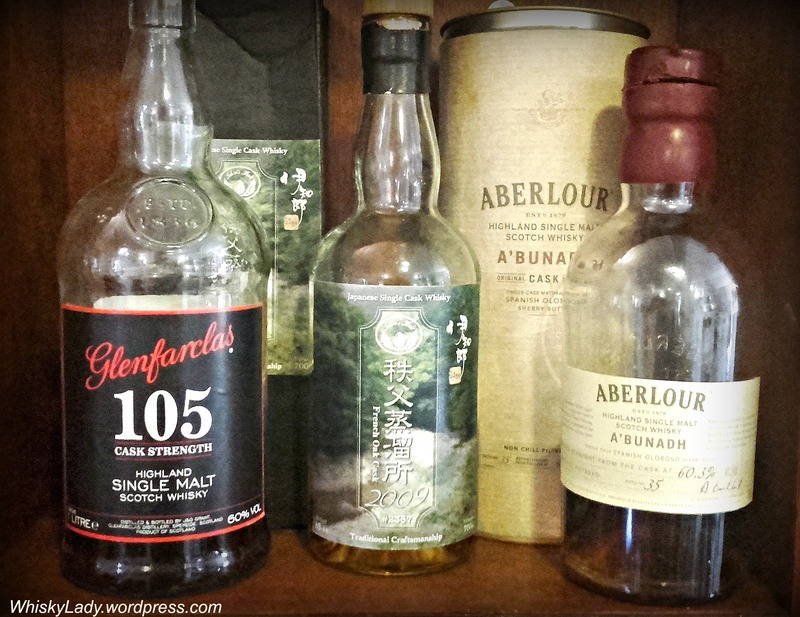 It could be bold peaty or sweet sherry or a craving for complexity where nothing else will do! 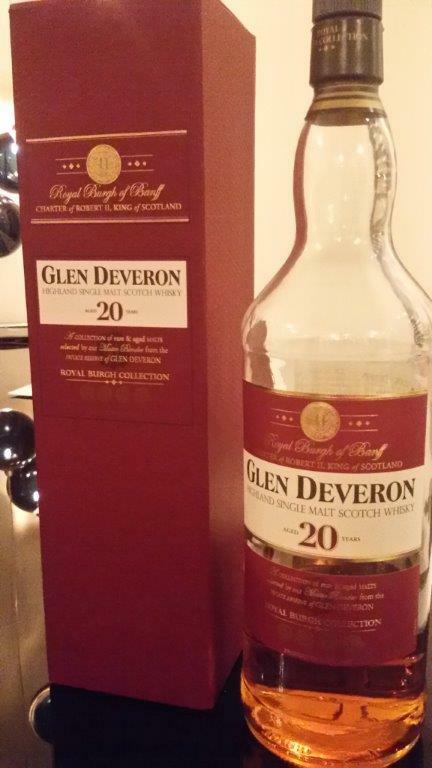 One of our original malt group members is partial to lighter more delicate whiskies. He seeks a little nuance and elegance in his dram. 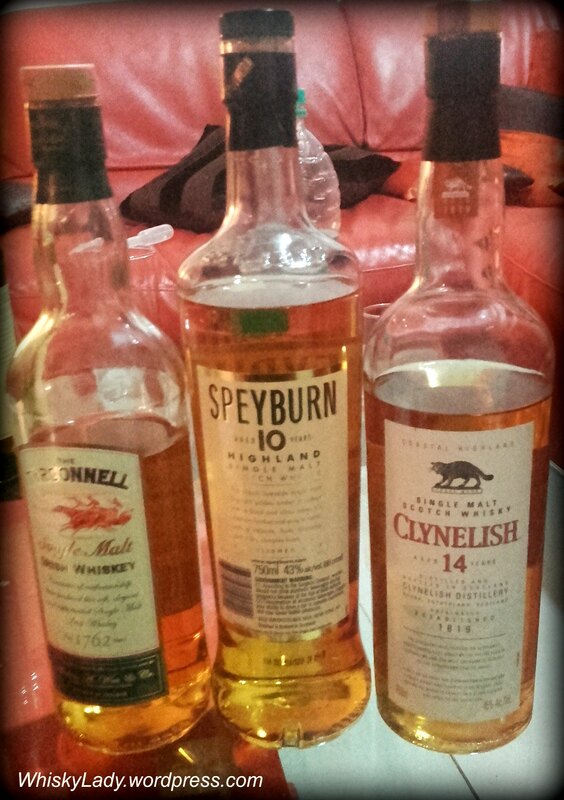 So when it came time to host our 1st tasting session for 2016, he selected whiskies that he hoped would achieve such an approach. However don’t be fooled! Just when pegged into a particular ‘type’, purely for contrast, our host shared that when he’s had a hard day at work, only something a bit rougher, tougher and robust will do. That’s when a Wasmund’s 12 month 48% was pulled out! Because we all need a little ‘bad boy’ to spice things up once and a awhile. Me? I’m terribly mood dependant. Some could say I can’t make up my mind, but it is simply that I enjoy the range of profiles. 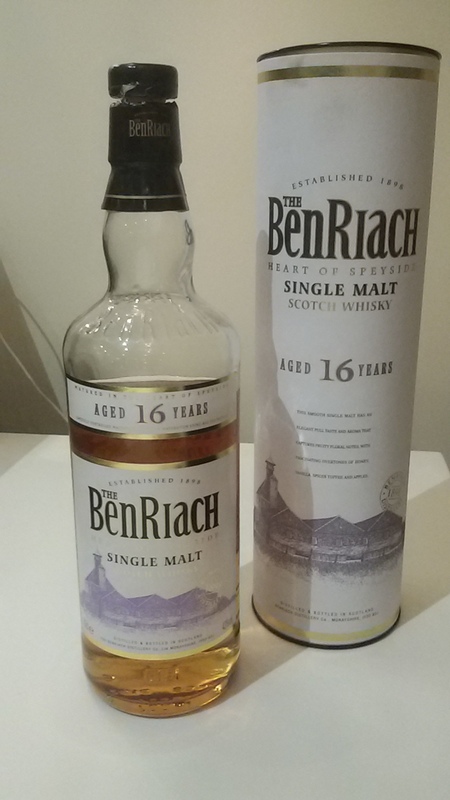 In recent years, BenRiach has been playing around with peated expressions, however to get a real sense of the distillery, nothing beats sampling one of their classic Speyside drams. This smooth single malt has an elegant full taste and aroma that captures fruity floral notes, with fascinating overtones of honey, vanilla, spices, toffee and apples. Nose – Honey, vanilla, floral, fruity with well balanced wood overtones. Taste – Rounded medium to full bodied, rich honey, vanilla with hints of cream, spices, toffee and apples. 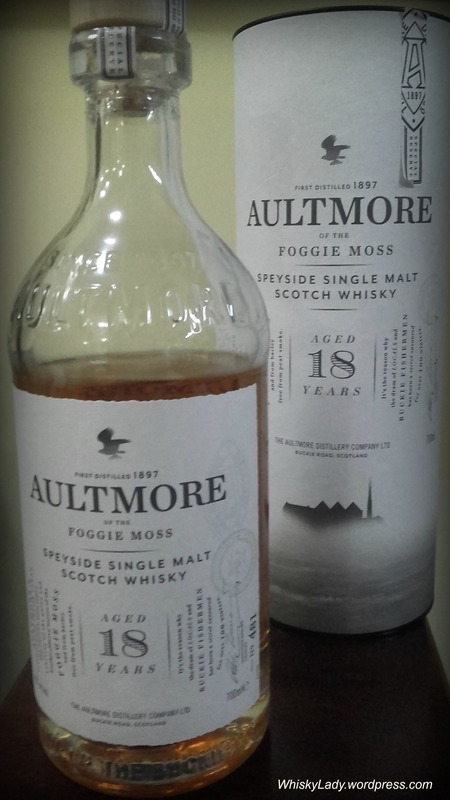 Aultmore is a rare Speyside malt known locally as “a nip of the Buckie Road.” The distillery’s water filters down through the misty, mysterious area called the Foggie Moss. Aultmore is rated top-class and is a dram sought after for its gentle grassy notes. Aultmore will be available from November with a 12- year-old, a 21-year-old in Travel Retail, and a 25-year-old in limited quantities. By July 2015, this was joined by the 18 year which I picked up for another member at the “World of Whiskies” shop at Heathrow Airport after sampling a nip of the 12 and 21 year… At that time our tasting group had never tried anything from Aultmore so thought – why not? Here is what we found… naturally tasted blind! The unveiling – surprise! We actually HAD tried an Aultmore just the previous month – the Aultmore 2000 bottled by Gordon & MacPhail to be precise. Once we knew the age, we started to speculate that perhaps they use 2nd fill bourbon casks given the light colour. Overall, we were pleasantly pleased and while ‘nice’ may seem a bit tame as a description, it really was quite… well… ‘nice’ in an enjoyable way! 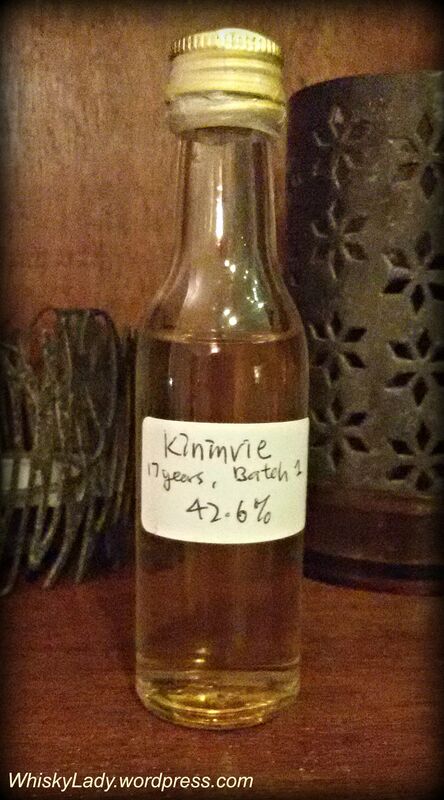 Kininvie 17 year 42.6% – a quandary no more! 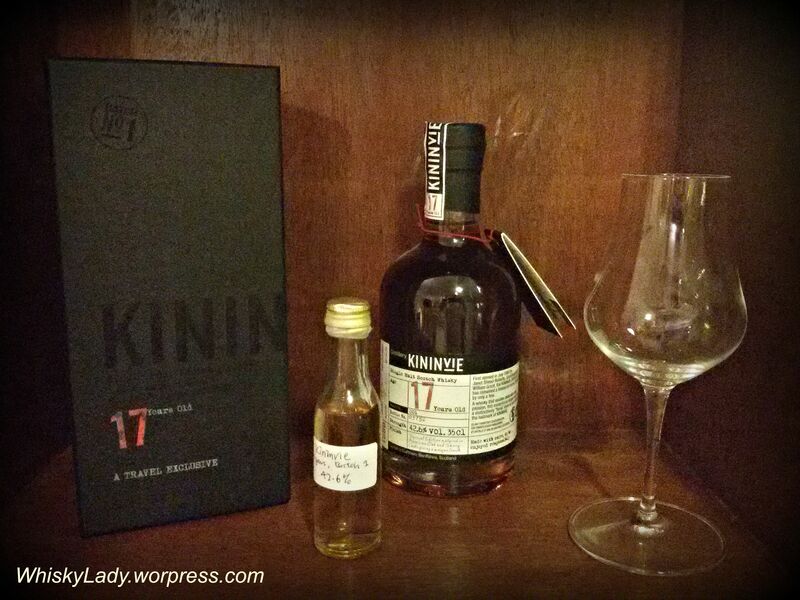 Earlier this year, I wrote about my quandary regarding the Kininvie 17 year. You see, I picked it up from Singapore duty-free but as a 1st bottling, wasn’t sure if I should keep it a bit longer or open it immediately. 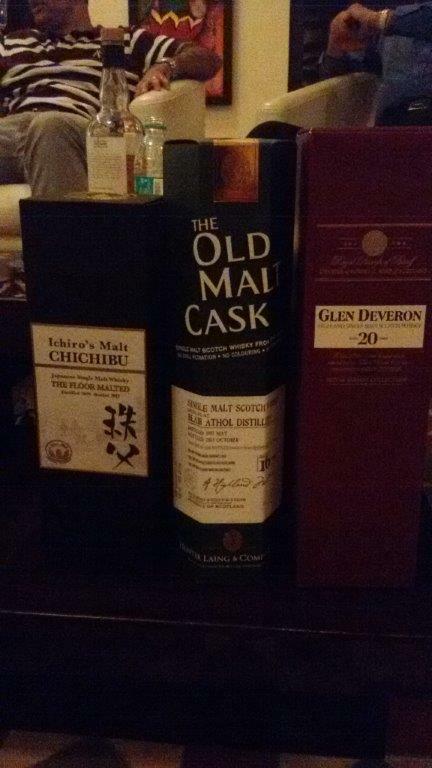 After all, I’m not in the collector’s league and whisky for me is something to enjoy! 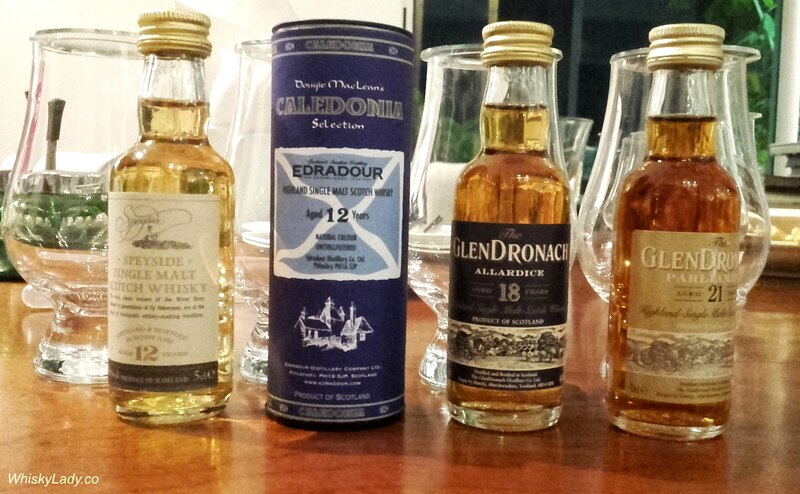 At the time, Ronald Ding of Whiskyrific made a lovely offer – to share a sample on which basis I could make an informed decision to crack open or keep. Alas my Singapore travel plans kept getting postponed and when I did finally go in June 2015, Ronald and I simply could not manage to connect. So he made an even kinder offer – to post the sample to me in Mumbai, India. Now… I had my doubts. Would it actually make it through customs to my doorstep without incident or hassle? 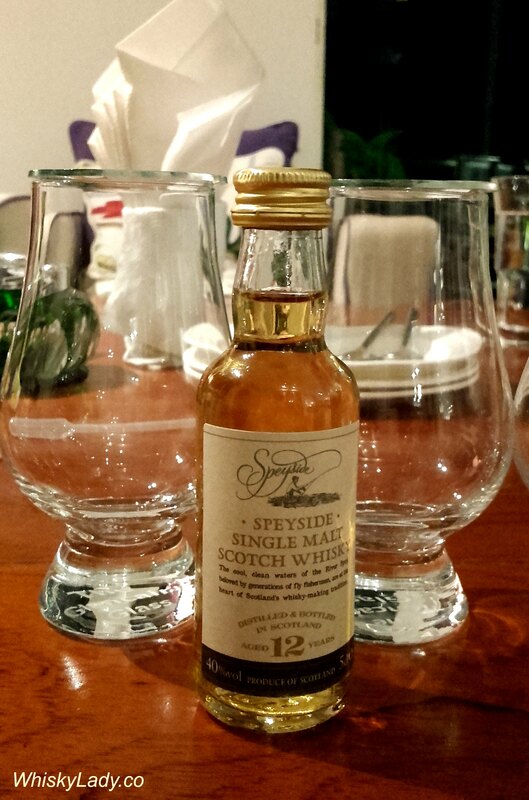 Overall – Without a doubt smooth, light, classic Speyside… with grape! I don’t think I’ve had a whisky that reminds me so forcefully of grapes… at first wine-like on the nose, then juicy grapes on the palate and grape coolade on the finish. I kid you not. Which if you don’t like grapes means this isn’t the whisky for you. But if you do… it is actually quite nice, pleasant, gentle, and grows on you sip by sip. I was disappointed when my wee sample dram was done. The Kininvie distillery is based in the Conval hills of Dufftown, part of the Balvenie distillery compound and I first encountered it as a component in the rather yummy Monkey Shoulder. There were a few prior single malt releases under the ‘Hazelwood’ label in honour of Janet Sheed Roberts, granddaughter of Glenfiddich’s founder William Grant, who lived to a remarkable 110 years old. From lawyer to director of William Grant & Sons, as noted on the label, she opened the distillery in 1990. Kininvie 21 then 17 year was initially released in Taiwan and now available in the UK. You can read more about Master of Malt’s insights on this distillery here. So many thanks Ronald!! I do suggest you check out his assessment on Whiskyrific – Kininvie 17 year! As for my quandary? I think I will hang on to it until the right opportunity presents itself… as in to share not save.